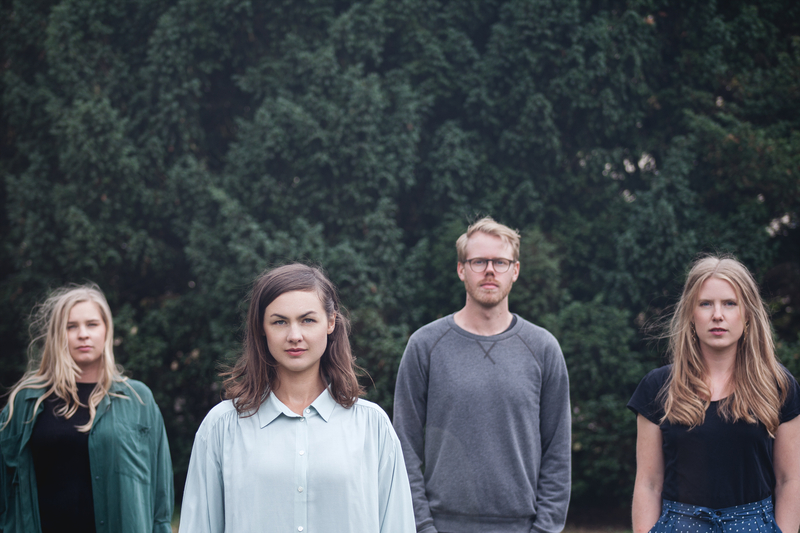 This fall We Float won the Swedish Public Radio’s Jazz Award in the category “Group of the Year” and released their second album named “What’s Really Real?”. The group was widely recognized in December for their performance in “Musikhjälpen” a Swedish public service charity campaign broadcasting in Swedish Public Media. What may seem peaceful and quiet can suddenly blow up to a heavy storm. We Float is a journey between acoustic and electronic, between hope and despair, between jazz and pop. The music is written by bass player Anne Marte Eggen. Along with her are Linda Bergström on vocals, Fanny Gunnarsson on keys and Filip Bensefelt on drums and sometimes Samuel Hällkvist on guitar. We Float also play concerts as a duo with vocals and bass.